Abstract Geometric Background. Trendy geometric flat pattern. 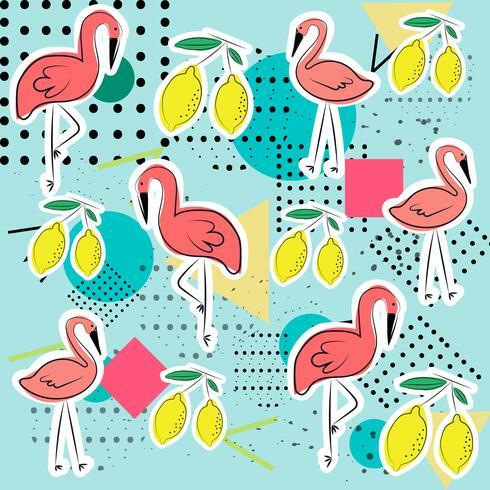 Flamingos, lemons. Vector Summer Holiday typographic illustration with exotic leaf and flower on blue background. Tropical design template for banner, flyer, invitation, brochure, poster or greeting card. Vector Summer Time Holiday typographic illustration with toucan bird and flower on tropical plants background. Design template with green palm leaf for banner, flyer, invitation, brochure, poster or greeting card. Summer Holiday T-Shirt design with tropical leaves and flower on transparent background. Vector Design template for clothing with some color variation. Summer Holiday T-Shirt design with tropical leaves, flower and toucan bird on transparent background. Vector Design template for clothing with some color variation. Vector Hello Summer Holiday typography illustration with tropical plants and flower on yellow background. Design template for banner, flyer, invitation, brochure, poster or greeting card. Summer card with tropical leaves on background.